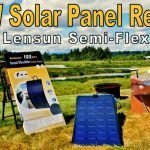 Last year I reviewed a flexible type solar panel for a company called Lensun. 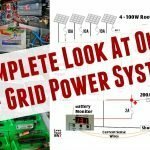 In exchange for the review, I received the 100-watt panel and controller free of charge. But, what to do with it? 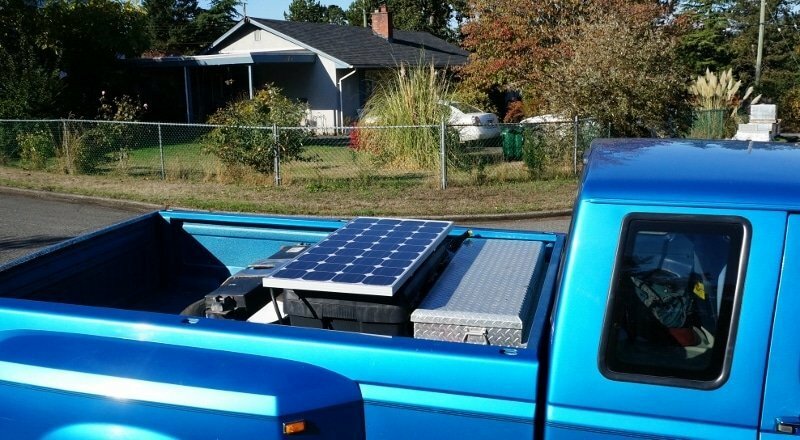 I could have mounted it on the roof with my four Renogy panels but decided instead to make myself a portable ground panel. 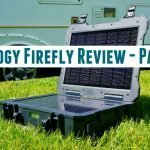 The project turned out well, and I found the remote panel an useful addition to our boondocking power arsenal. 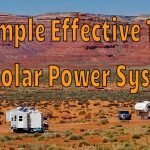 Unfortunately, even though I had mounted it on a substantial piece of plywood, the solar panel was damaged by a huge desert wind gust. The wind sent the panel flying, and it landed face down. A rock gouged a small hole in the plastic film material. Afterwards, I notice a significant reduction in power output and the area around the gouge would become extremely hot. Bummer! As we approach another snowbird season down south, a replacement is needed. 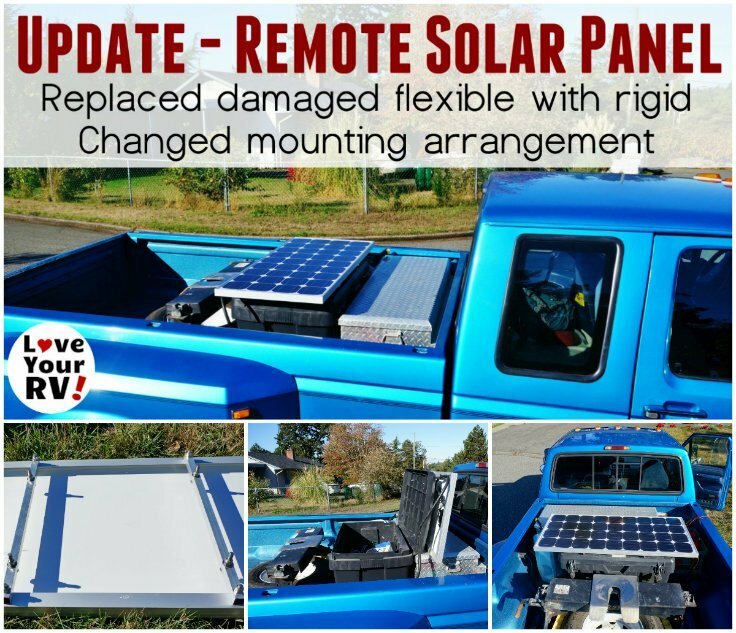 Rather than go with another flexible panel, I ordered a new 100-watt Renogy just like my other four on the roof. Next, I needed to devise a new mounting arrangement on the trucks tool box and a way to keep it safe in high winds. Since the rigid frame panel is so different from the flexible and new mounting arrangement was needed. I chose to go with the same location in the bed of the truck on top of a big plastic tool chest. Rather than using the board strapped to the box I came up with a new plan. I picked up four feet of square aluminum tubing and assorted stainless nuts and bolts. 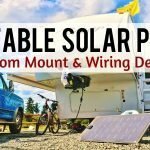 The tubing was cut into 21-inch lengths, holes drilled for the bolts and mounted on the back of the solar panel using two existing factory mount holes. Longer bolts were installed a few inches in from each side. Next holes were drilled through the plastic tool box lid. The longer inside bolts are fed through and washers and wing nuts attached on the other side. 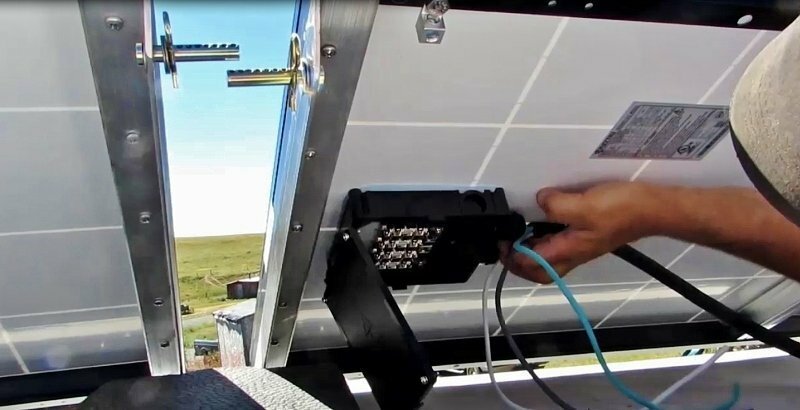 Once tightened up the solar panel is securely held in place. 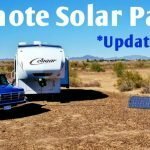 Hooking into the solar wiring was simple, I just needed to unplug the old panel and plug in the new one. They both use MC4 connectors. I purchased a special MC4 tool to make the job easier. Last winter after the unfortunate flying solar panel incident I found that strapping it to my Werner folding ladder worked well to keep it grounded. 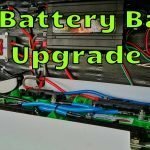 So, I plan to do the same with the new rigid panel. 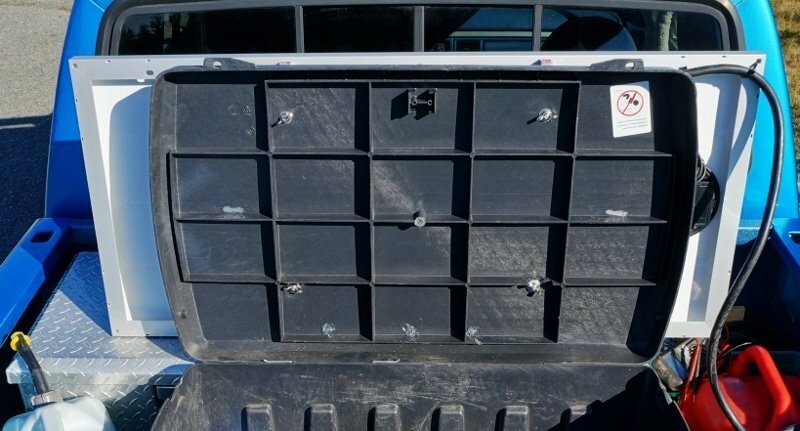 A ratchet strap or bungee cord attached to the new square tubing should do the trick. 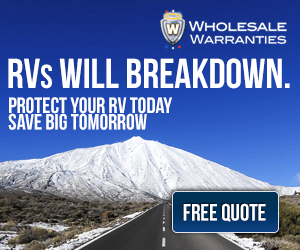 See more solar related posts on Love Your RV!